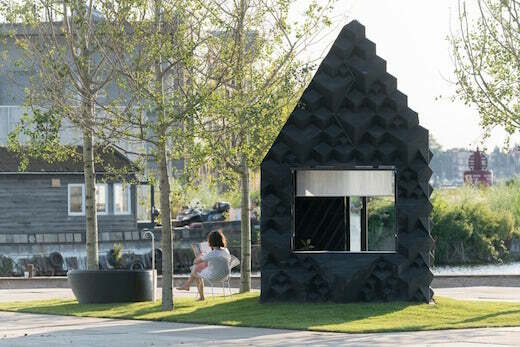 Amsterdam-based firm DUS Architects has recently completed a tiny guesthouse, which was printed rather than built. It is intended to be rented out on a short-term basis, is fully equipped with all modern conveniences and even features a small garden and an outdoor bathtub. 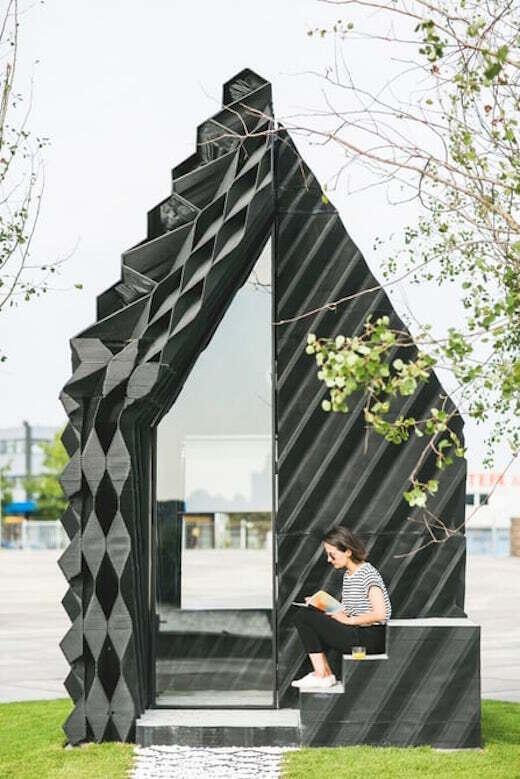 The structure is called Urban Cabin, and was created using a special 3D printing technology developed by the firm that built it. Urban Cabin has a footprint of 86 sq ft (8 sq m), which is quite modest. The interior has enough space for a sofa that pulls out into a bed. The living space extends out onto the porch, which effectively blends the indoor and outdoors spaces. 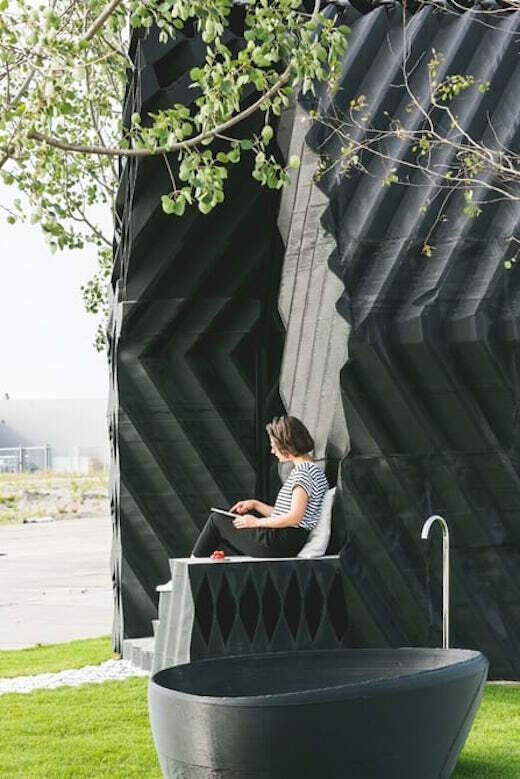 The home was built to test out the 3D printing technology, and to show that 3D printing is a viable way of constructing tiny homes. 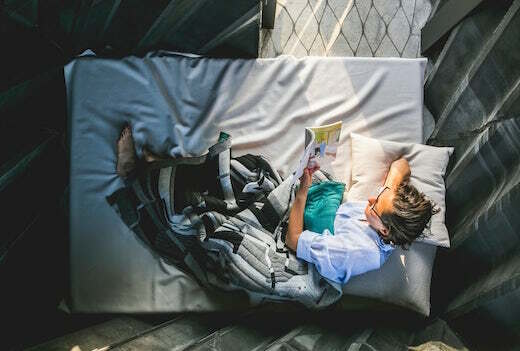 The firm plans to continue using the tech to build sustainable, on-demand and fully customizable tiny dwellings, which do have the potential of becoming quite popular, especially given the speed at which they can be built. The process of building the cabin began with the printing of the necessary components out of bio-plastic, which took about four weeks. Next these pieces were assembled into a house using several joining techniques, such as click-connections and glue. This method lends itself well to creating various different styles of façade ornaments, while also enabling innovative ways of insulating the home. 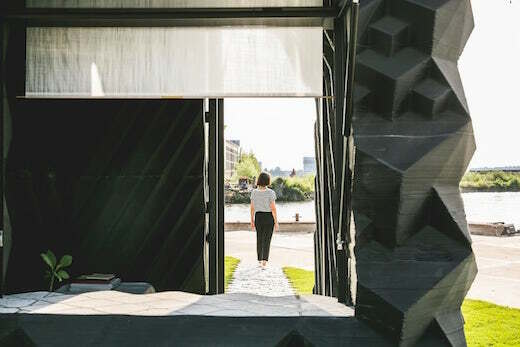 The bio-plastic they use is also fully recyclable, meaning that once the structure built using it has reached the end of its lifespan, it can be shredded and reused to build a new one. The cabin is also wired for electricity. They began building the cabin last year, and it is currently located near a canal in Amsterdam. 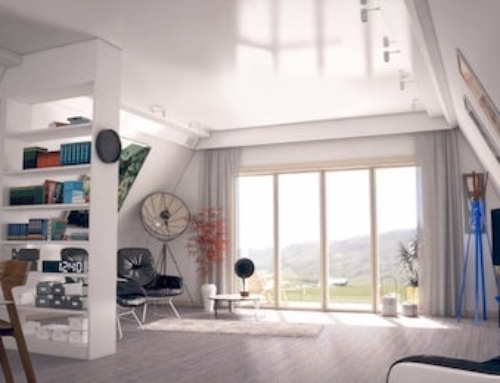 It is already available for renting through DUS Architects.